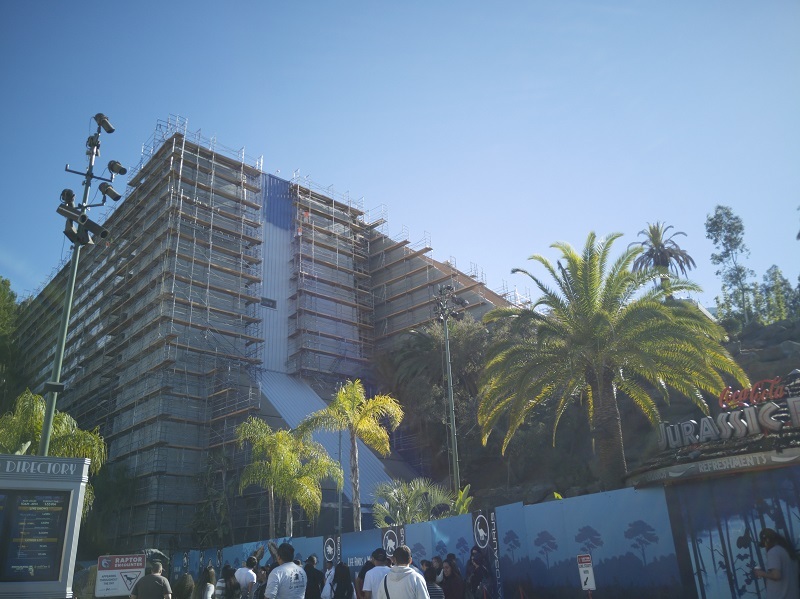 If you’ve visited Universal Studios Hollywood lately, you’ll quickly see that they’re currently undergoing a 2nd major expansion. 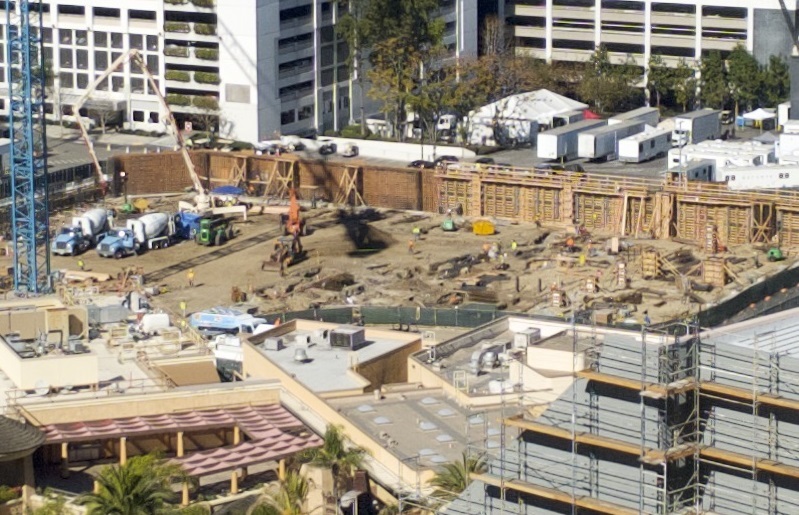 While the only currently announced project is Jurassic World, other interesting construction projects have popped up of late. Reader and friend of the site Alec Billante @alecbillante, recently visited the park and shared some photos with us. 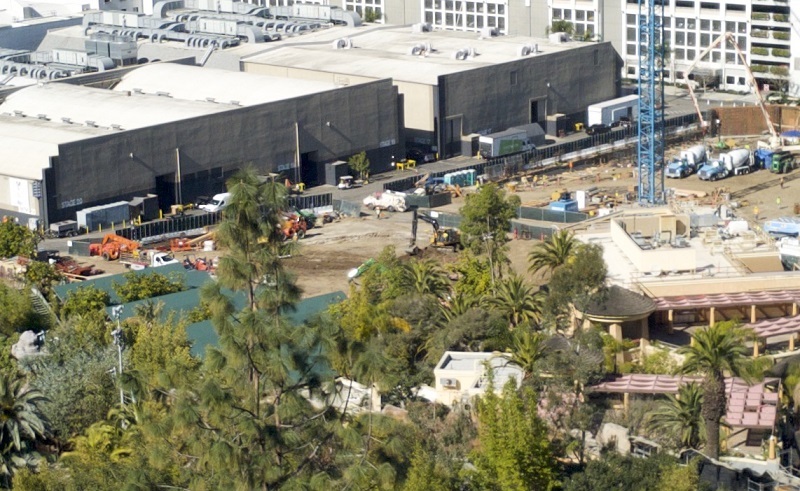 Starting on the upper lot, directly next to the left of Despicable Me sits the future site of a currently unannounced attraction (rumored to be Secret Life of Pets). 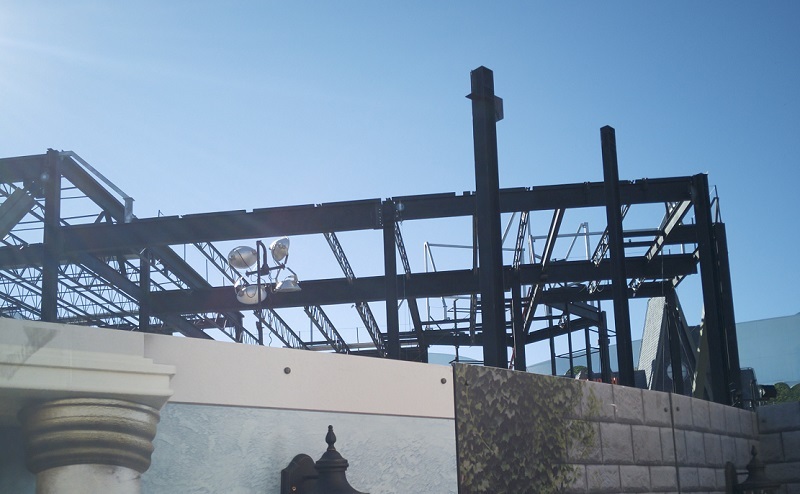 This new structure occupies the former Globe Theater space which was seldom open to park guests. 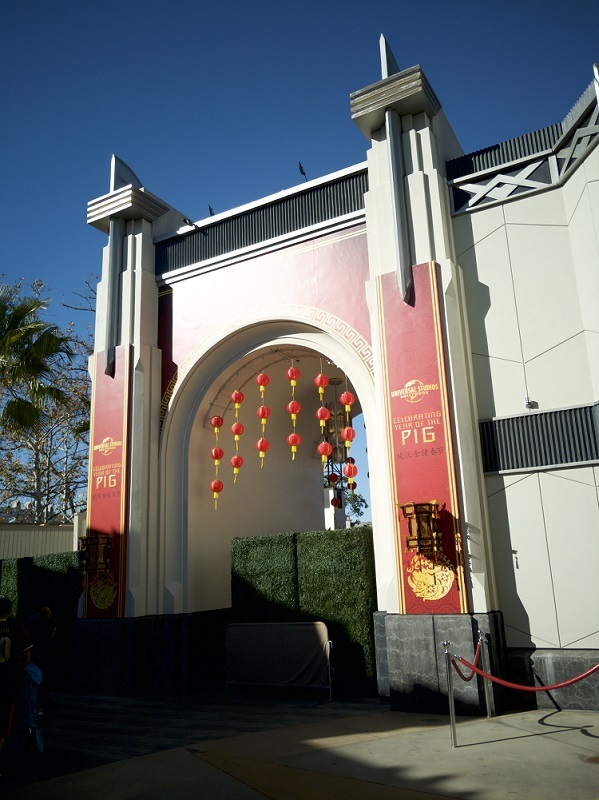 Signs of Universal’s Lunar New Year Celebration have started to appear. 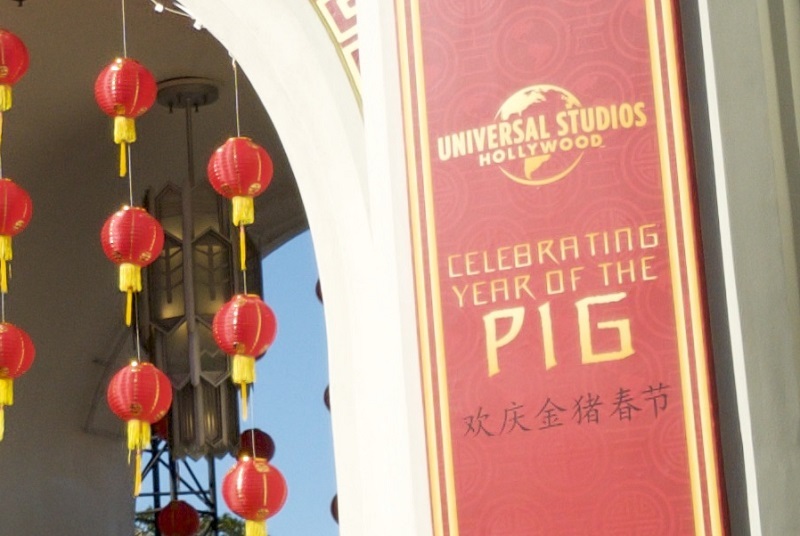 Lunar New Year will begin next week Feb. 2, and will end on Feb. 17. 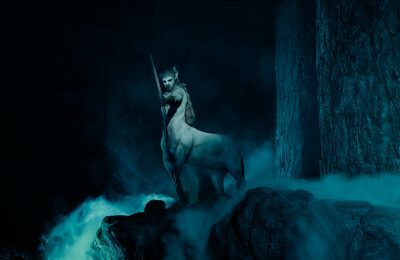 This year celebrates Year of the Pig. 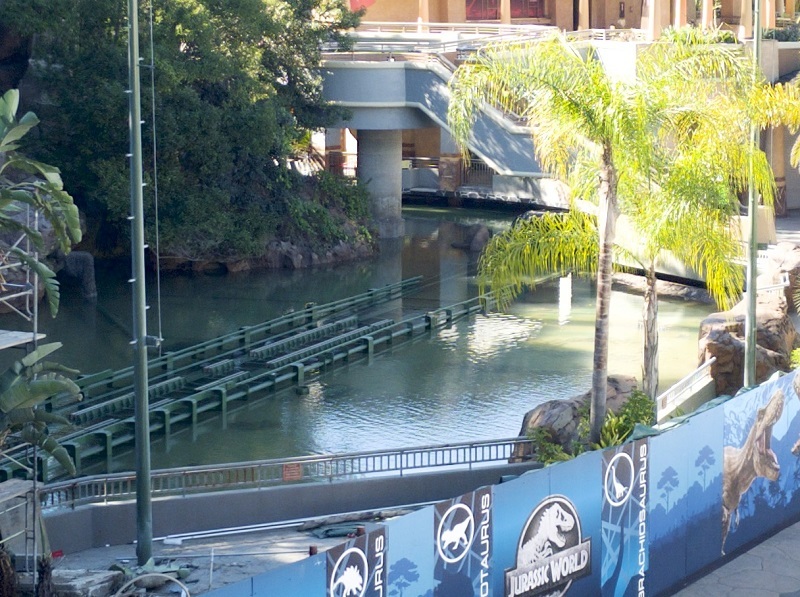 On the Lower Lot, Jurassic Park continues its conversion to Jurassic World. 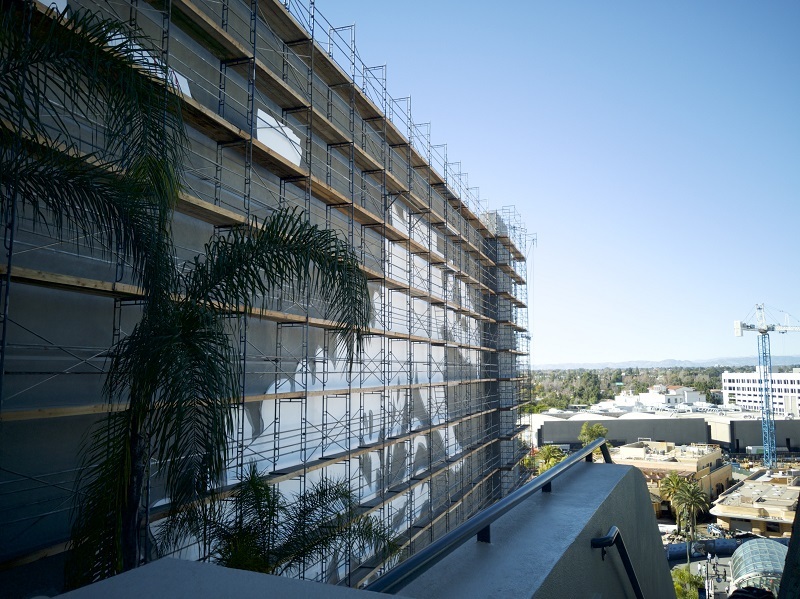 Most notably with the addition of a giant skeleton T-Rex mural dominating the side of the building. 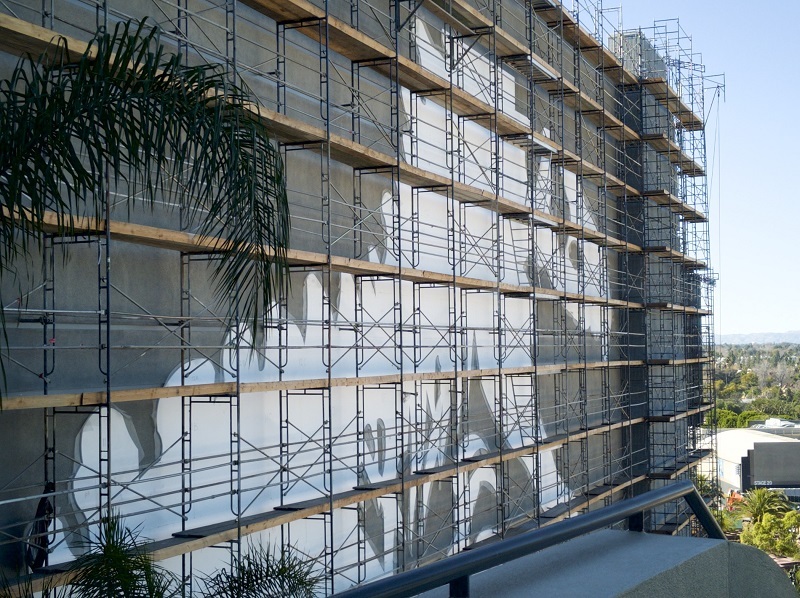 In addition to the new mural, the showbuilding itself is receiving a fresh coat of paint with the Blue and Grey color scheme seen in Jurassic World. 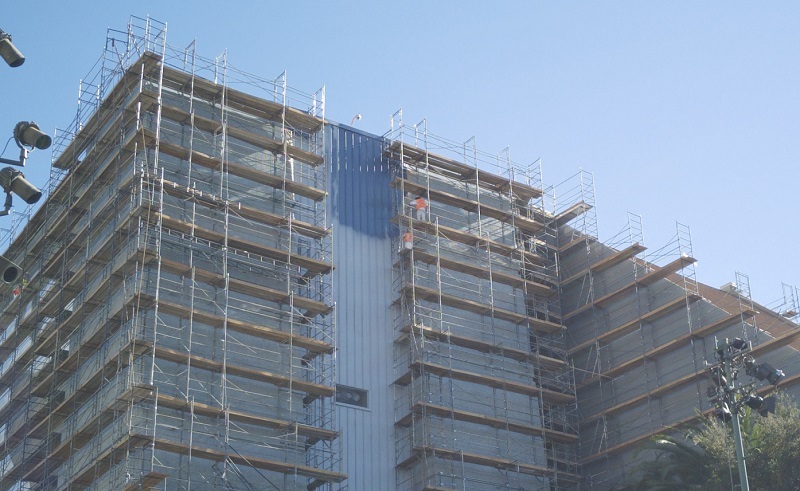 The middle section looks to be getting a blue finish. They’ve also refilled the splash pool and it appears that light testing has begun. 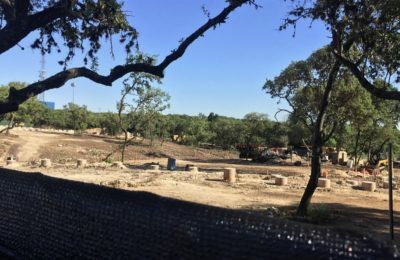 The the opposite side of the Lower Lot, another, unannounced attraction/land (rumored to be Super Nintendo World) has been slowly going up. Directly next to Transformers. 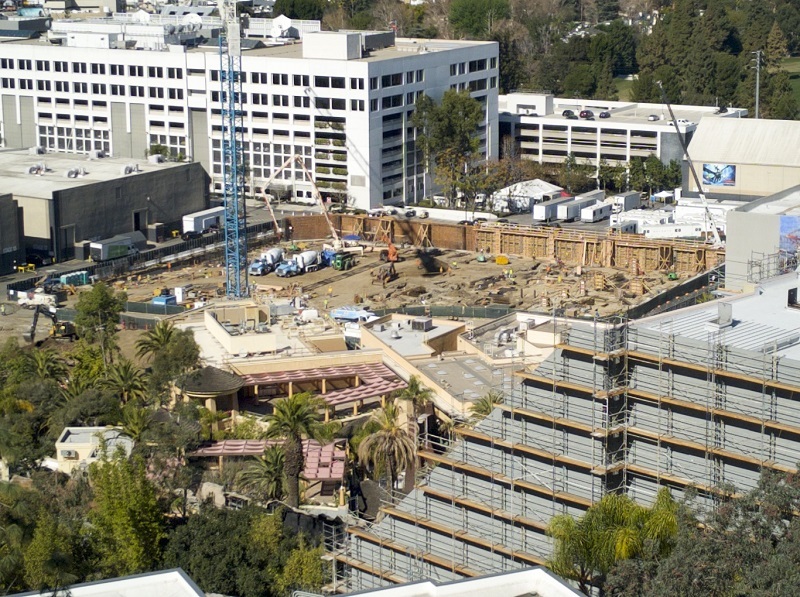 The site now stretches the entire length of the lower lot behind Jurassic Cafe and the Studio Store. 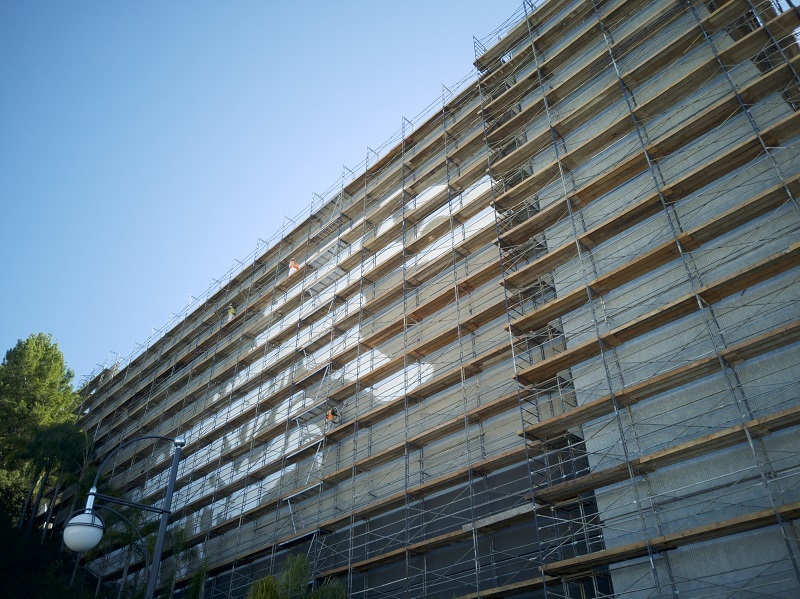 A large crane, footers within the building and an exterior structure wall, make the most of what can be seen from the StarWay. 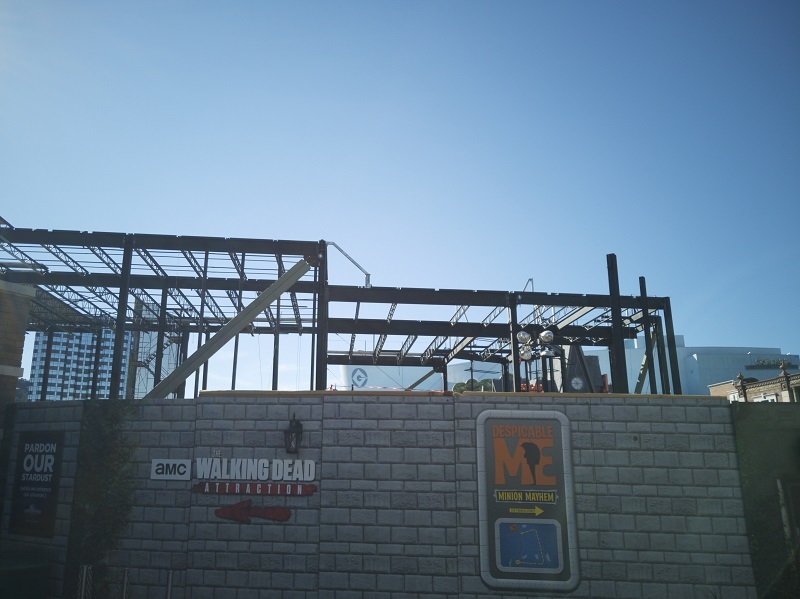 It’s going to be a very excited couple years at Universal Studios Hollywood. Special thanks to Alec Billante for the photos. 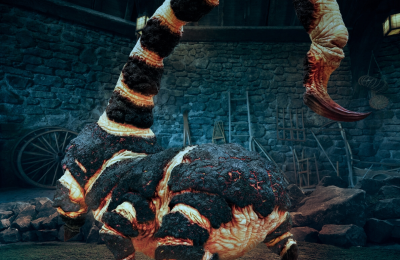 Are you excited about all these projects? Get social with us and let us know on Facebook and follow along with us on Twitter @BehindThrills for the latest updates!